Director Abel Ferrara never made a slicker-looking film than his terrific 1990 crime thriller King Of New York, but the surface sheen of Bojan Bazelli’s cinematography feeds into the larger purpose of dismantling the gangster iconography of The Godfather movies from within. 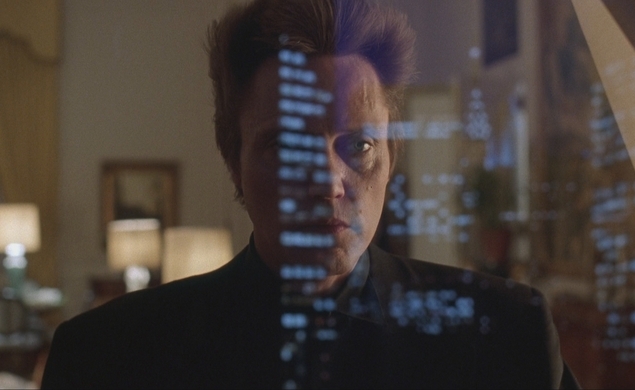 Shots of Christopher Walken’s drug kingpin Frank White through reflective surfaces, gazing upon the cityscape under his control, are meant to evoke the Corleones, but in true Ferrara style, Frank isn’t the type to rule from an ivory tower—he gets his hands dirty when necessary. Ferrara’s complex, ground-level portrait of a would-be urban Robin Hood follows Frank as he returns to New York after a prison stint and works on organizing a criminal underground that’s fallen into disarray. This puts Frank and his men into conflict with multi-national operations across the city, from Colombian coke merchants to a Chinatown syndicate, but rather than consolidate power, he seizes it by bloody force. (And more often than not, he leads by example.) Ferrara and his regular screenwriter Nicholas St. John complicate their venal hero by making him a pillar of the community and they contrast his exploits with those of a veteran cop (Victor Argo, in one of his best roles) whose attempts to build a case against Frank are undone by his impulsive young charges. Frank believes himself better than the other thugs because he provides a service to the community; Argo’s cop wants to do the right thing against overwhelming forces from within and without. King Of New York turns their conflict into a titanic morality play. The film airs tonight on Indieplex at 10:40 p.m. Eastern.